There is no Jurassic Park to me without Steven Spielberg as director. And it is just despicable how they are marketing this movie in the name of Steven Spielberg in the trailer. Wouldn’t it be funny if they made a Jurassic Park movie in which nothing went wrong? What if they made an Adventureland-like drama focused on the love lives and coming of age stories among the Park’s young employees? Or something like Gareth Edwards’ Monsters which is essentially a road movie about a man and a woman falling in love in a world in which CGI monsters occasionally pop up in the background? Or maybe instead of Wally World the Griswolds in the new Vacation movie are on their way to Jurassic Park, and they again arrive on a weekend when the park is closed but force a John Candy-esque security guard to let them in? 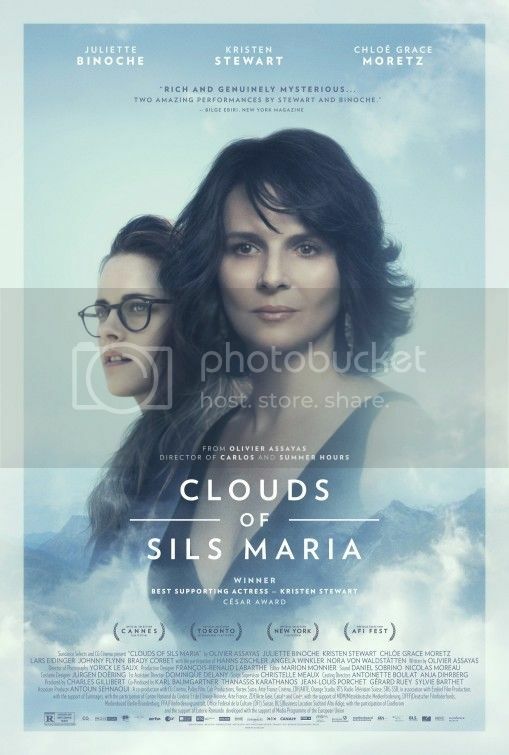 Clouds of Sils Maria is a provocative film. The gamut of topics that pass through the consciousness of screenwriter (and director) Olivier Assayas are plentiful and diverse. It considers youth vs. age, life vs. death, the past vs. the present, art vs. commerce, and fame vs. anonymity. Good heavens! Any one of these would’ve been enough fodder for an entire script, but Assayas touches on all of these topics. The complexity of Clouds involves trying to figure just what heck the narrative is actually about. It’s arty to the point of ambiguousness. Regardless Assayas clearly delineates a deep poignancy amongst women.